Let your child pedal into a fun-filled playing time with this go-kart. This foot-powered toy allows your child to take control as he or she pedals to determine the riding speed. It is Chain Driven and pedals and steers well. It does have a chunk out of one rear tire (see pic 10). You could get a couple of wheels cheap at harbor freight if you want to actually use It. It looks just right anyhow and would make a great piece for a Pedal Car Collection, Mancave, Farm collection or hang It from the ceiling. The chassis is powder coated with non toxic black paint, made from 3/4" steel tubing. It has a 27" wheelbase, and 14 3/4" wheel tread (center to center). Made in the USSR (Soviet Union) Soviet Russian toy, 70s last century. for restoration, for film studio. A condition on a REAL photo. Look at the ACTUAL photos! This chassis is powder coated with non toxic paint, made from steel tubing with 10" wheels. Chassis Kit Only. It has a 27" wheelbase, and 14 3/4" wheel tread (center to center). Units requiring service, either warranty or otherwise, should be notified directly to the appropriate manufacturer. This little pedal car is set up for a child about age 3-8 that weighs between 35-80 lbs. Your kids or Your grandkids, will have alot of FUN! & May You have a Safe,Exciting,Productive,Encouraging and Blessed week! An AMF pedal car. Dukes of Hazard Style. General Lee Style. Confederate Flag. Silver Racer Kids Ride On Car. Working Steering Wheel. Adult Supervision Required. 30"L x 10"W x 14"H.
XONEX HEAVY DIE CAST MODEL OF THE FAMOUS 1958 MURRAY ATOMIC MISSILE ROCKET PEDAL CAR THAT EVERY BOY WANTED IN THE LATE 1950'S AND EARLY 1960'S. THIS HEAVY DIE CAST MODEL IS APPROX. 12" LONG X 7" HIGH X 6" WIDE. We will compare serial no. They are 10"wheels on firestone rubber. the tire size is 10 x 1.75-f.
USSR pedal car Moskwitch Педальный Москвич СССР. For example, at the Moscow plant "Salute" and the Omsk aircraft factory "Polet". This horse model was produced in the 50-60-ies. When driving wheels, moving the horse legs. The original painting is very rare white mane. These parts are very similar to most Murray car designs. - Pedal Rods. - Pedal Car Owner's Manual. - Front V-Bracket Steering Assembly. UP FOR YOUR CONSIDERATION IS A POST 1970's COCA-COLA KIDS RED OUTDOOR SAD FACE STATION WAGON PEDAL CAR IN EXCELLENT CONDITION. FOR AGES 3-6. HAS A BEND ON THE FRONT RIGHT WHEEL, INSIDE NEXT TO THE TIRE, BUT DOESN'T EFFECT THE RIDE. MEASURES 42-1/2" LONG, 15-1/2" WIDE, AND 21" TO THE TOP OF THE STEERING WHEEL. AS PICTURED IT WEIGHS 31 lbs 8.0 ozs. PLEASE ENLARGE ALL PICTURES FOR MORE DETAIL. THIS WOULD MAKE A GREAT GIFT FOR THAT SPECIAL COLLECTOR OR A NICE ADDITION TO YOUR OWN COLLECTION. IF YOU HAVE ANY QUESTIONS, PLEASE CONTACT ME. THANKS FOR TAKING A LOOK. tjj. It is fresh out of the set of the TV Show Gotham Season 5 Episode 2. It looks complete and It appears to have everything underneath as a factory built pedal car would. This is a COOL Piece for the Pedal Car Collector, Gotham Fan or hang in your Mancave. Policeman Police Chief Child's Radio Trike Tricycle. Police Pedal Car Trike Tricycle Bike Bicycle. This is a super clean version of a fairly rare childs push trike or scoot trike. This is a very nice toy trike collectible that does not surface very often in this condition. Size: Φ 31.8 600mm. Material : GR9 Titanium Alloy 3AL2.5V. We create a culture of dignity for all. Every individual is encouraged to excel and awarded based on performance. Speedster Ride on Fire Truck. Foot to Floor Scoot-A-Long Fire Truck. Plastic fenders protect walls and furniture. Toy Safety Tested and Approved. Child safe,chip and rust resistant, vibrant, non-toxic powder coating paint. This is SoRARE to find and I have never seen one before. (i dont have the skis). It is mostly plastic with no major cracks or breaks. When the Rider backs the Car up or Parent rolls the car backwards and lets go, It rolls Forward. 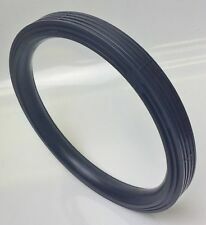 Length: 110mm. 1pcs Titanium Stem 31.8mm. Material:Titanium Ti3Al2.5V/ Gr9. Steer tube: 1 1/8", Degree: 5º. We create a culture of dignity for all. Every individual is encouraged to excel and awarded based on performance. 1 pair of Yellow Taillight for VW bug pedal car. Universal fit. We will always communicate with you and try to resolve the issue and make things right. We will do likewise upon your received of the item. (Material : GR5 Titanium Alloy 6AL4V. Model : M10. M10 Pitch ： 1.25mm. 1PCsx Titanium Bolt As you choose. APO/FPO,etc.). CUSTOM TRIKE SEAT AND BANANA SEAT SET Up for auction is a rare opportunity to add a custom trike seat and a banana seat (BOTH) to your lowrider bicycle trike., This seat has RUFFLES. Squares and with or without MIRRORS, The seat can be made in most colors. Specify colors when ordering seat. Color choice: Blue Red Green Gold Brown Purple Orange Pink Black White Each seat is custom made after ordering. Please allow 1 week before shipping. Shipping to the lower 48 states. Buyer pays for International shipping. Seat height: 9 in (23 cm), Max. rider weight: 66 lbs (30kg)s.
Material:Titanium Ti6Al4V. CNC Machined and Polished surface. Length: 350mm. Weight:250 /-5g. We are open, honest and respectful in our dealings. We create a culture of dignity for all. Every individual is encouraged to excel and awarded based on performance. MOSKVICH MOSKVITCH МОСКВИЧ. The car is very preserved, and is in very good condition! The car is very heavy - about 20 kg. 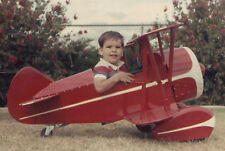 It includes the patterns and illustrations that show you how to build this great little tyke's biplane. This is perfect for the young pilots in any family. Building instructions are also included. Other plans are for sale too. Great for the man cave or garage! Material : GR5 Titanium Alloy 6AL4V. 1 x M6 x25 Titanium Bolts. Model : M6 x25 bolts. We are open, honest and respectful in our dealings. ● Integrity. We create a culture of dignity for all. Every individual is encouraged to excel and awarded based on performance. Found these in the farm house. Grandpa used to work on old pedal cars and trikes. You are getting everything you see! local pickup is always available! A pedal car is a fun way for kids to get around. Instead of a bicycle, children can drive around in a toy car with adult supervision. This type of vehicle is not electric, making it safe for kids of almost every age. How do pedal cars work? Pedal cars are easy to operate. The vehicles have multiple tires; depending on the model, there will be three or four. 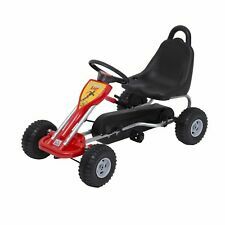 There are then pedals kids can use to move the toy kart down the road. In some instances, there is also a handle in the back for an adult to use to steer the kart. What is the appropriate age for a pedal car? 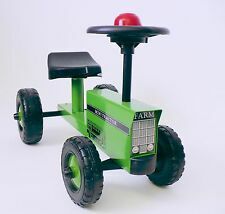 The age level for these pedal toys will vary. Some models are designed for younger kids while others are designed for older kids who know more about how to pedal a bicycle. 3-4 years: These are fun for kids who are just starting to learn how to pedal and may still need adult supervision. 5-7 years: For kids who know how to ride a bicycle, these are more stylish. You can find these in many fun designs. 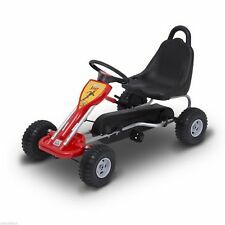 8-11 years: These are designed to go faster and are more like a go-kart without the electric power. Do the pedal cars have to be assembled? A pedal car might need to be assembled before it can go anywhere. You will need to look at the model before you can know whether yours is completely assembled. There might be printed instructions or a video to help you with assembly. Some pedal cars are already assembled and all you have to do is put on decals. You might also have to make some adjustments as your kids grow. How do you look for pedal cars? Wheel base: Look at the wheel base to determine how fast the car can go. Age range: Determine the age range, and check the weight limits for the pedal car. Theme: Many of the pedal cars are based on or inspired by television shows, toys, and other popular items. Features: Some pedal cars might have working horns, doors that open and close, and many other interesting and useful features.